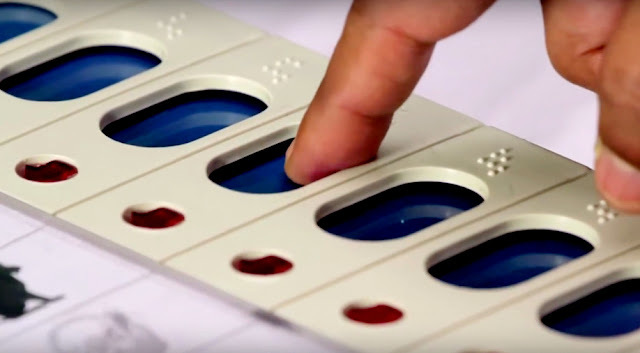 Often termed as the largest democracy on Earth, India has gone for national elections since April 11, 2019, and the biggest electoral exercise through electronic voting machines (EVM) will continue till May 19. Over 900 million voters will participate in the seven-phase general elections to elect 543 representatives to 17th Lok Sabha, the powerful lower house of Indian Parliament in New Delhi. Conducted by the Election Commission of India (ECI), world’s most powerful electoral institution, the unique experience for the human race will unveil the winner on May 23 counting day who would rule the one billion-plus nation for next five years. After completion of its term in office, the ruling National Democratic Alliance (NDA) led by Bhartiya Janata Party (BJP) is seeking a fresh mandate from the electorate. The NDA nominees in the polls are primarily facing candidates belonged to the opposition Congress-led United Progressive Alliance (UPA). The third front, a loose coalition of some regional political parties across the country, named Maha Gatbandhan, is also expected to put challenges to both NDA and UPA candidates in selective Parliamentary constituencies. In the last general elections, projected Prime Ministerial candidate Narendra Modi did almost a magic that helped the nationalist party to win an absolute majority with 282 seats in the Lok Sabha (the lower house of Indian Parliament). NDA’s total tally increased up to 336 (out of the 545, where two members are nominated) in the 2014 national polls. On the other hand, the oldest party (Congress) shrank to 44 seats in the house of people’s representatives. BJP’s aggression to the once disturbed northeastern region of the country simply routed the Congress from any government in eight provinces (commonly known as State). Till 2014, the Congress used to have province governments in Assam, Meghalaya, Mizoram, Manipur and Arunachal Pradesh. Now all the States including Tripura and Nagaland are ruled by ether BJP or its allies. The region, surrounded by Nepal, Bhutan, Tibet (China), Myanmar and Bangladesh, sends 25 members to the Lok Sabha, but this time BJP leadership has taken the share very seriously. BJP president Amit Shah claims that his saffron party along with allies will win over 20 seats from the region. The Congress has not made any claim but maintained their candidates will do fairly well in the forthcoming polls. Prime Minister Modi, the star poll-campaigner of BJP, keeps seeking votes for his developmental activities along with non-corrupt governance and security to the nation. Besides pledging for more roads, airports, and other infrastructures, he promised more jobs for the youths. At the same time, Modi maintained that they would continue various welfare programs like providing toilets, houses, cooking gas, crop insurance, loans for small businesses and also electricity connections. On the other hand, the leadership of Congress party that ruled the populous south Asian country for over five decades since 1947 promised to make India a poverty-free nation by 2030 with provisions of minimum income guarantee scheme, waving of peasant’s bank loan and creation of sustainable jobs. He continues targeting PM Modi for failure in various aspects including in realizing the saffron leader’s earlier promise to create 10 million jobs every year for Indian nationals. The Congress resident Rahul Gandhi has drawn attention from the citizens with his promise that if voted to power they would provide a minimum guaranteed income of Indian rupees 72,000 per year to every poor family. Hong Kong-based Asian Human Rights Commission (AHRC) also issued a statement praising Gandhi for his proposed initiative that would enhance the international mission for sustainable development goals by 2030. In the eastern region, the Congress is expecting electoral benefits out of the ruling party’s much-debated citizenship amendment bill (CAB), which sparked massive reactions among northeastern ethnic groups. Most of the people in northeast India opposed the saffron plan to welcome persecuted religious asylum seekers from Bangladesh, Pakistan, and Afghanistan, who had already entered the country before December 31, 2014. CAB was successfully passed in the Lok Sabha on January 8 and was soon scheduled for Rajya Sabha, the upper house of Indian Parliament so that it could be sent to the President of India for necessary endorsements. But it was not pushed forward by the Union (federal) government as the ruling party had no majority in the Council of States. Thus the initiative to amend the law lapsed with an embarrassment to the Hindu nationalist party. The socio-political scenario of the country had changed dramatically with the February 14 Pulwama terror attack, where over 40 paramilitary soldiers lost their lives. Pakistan-based Islamist group Jaish-e-Mohammed (JeM) claimed responsibility for the assault, which sent a massive wave of pain & anger among millions of patriotic Indians. Public sentiments against JeM chief Maulana Masood Azhar and his promoter the Islamic Republic of Pakistan were fully materialized by Modi and the hardliner Prime Minister launched a verbal war over Islamabad. His assertion was followed by sudden aerial attacks in Pakistan occupied Kashmir (PoK) and Khyber-Pakhtunkhwa Province (KPP) locality on February 26, where the Indian air-forces claimed to hit many JeM terror bases. Need not to mention that any major elections in northeast India were synonymous to violence perpetrated by insurgents, who had been fighting the Centre (New Delhi) for decades demanding self-rule to sovereignty. The separatist militant outfits even earlier dictated the people to avoid the electoral process as they asserted it as being a symbol of suppression by the colonial Indian forces. But the northeastern electorate valiantly defied their diktat. Influential and dreaded armed groups like United Liberation Front of Assam (ULFA) made it a habit to issue press statements threatening the electorate of dire consequences if they prefer to cast their votes and later the same militants secretly supported poll-candidates of their choices. This time two Manipur based insurgent groups namely Zomi Re-unification Organization (ZRO) and Kuki National Organization (KNO) came out with covert supports to saffron candidates. However, both factions of ULFA have shown reluctance in intervening over the polls. When the pro-talk faction led by Arabindra Rajkhowa recently made it clear that they would not be a part of the electoral process, the other faction led by Paresh Barua maintained silence over their involvement. Rather Barua, while talking to local media from his secret shelter somewhere in Myanmar-China border, disclosed that they did a pre-poll survey where he saw BJP as a probable gainer. Nava Thakuria is a journalist based in northeast India.